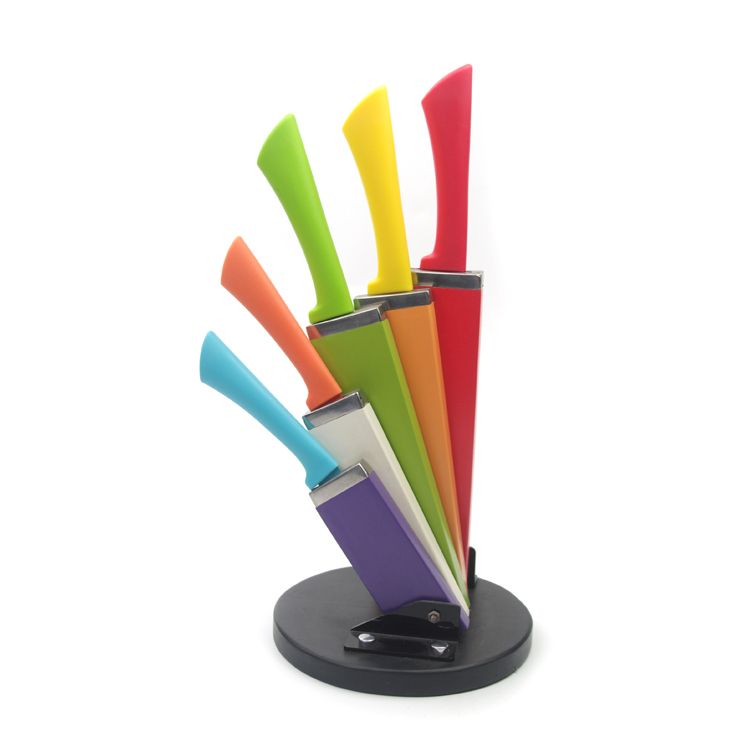 This colorful Kitchen Knife Set is coating a bright color.Only look at it, you will have a good mood for cook.This beautiful Kitchen Knife is made of stainless steel 2Cr13,sharp for cut.The block can be folded and turn a round for showing the Chef Knife Set.It is a perfect gift for mother and wife ,also cookery fan. 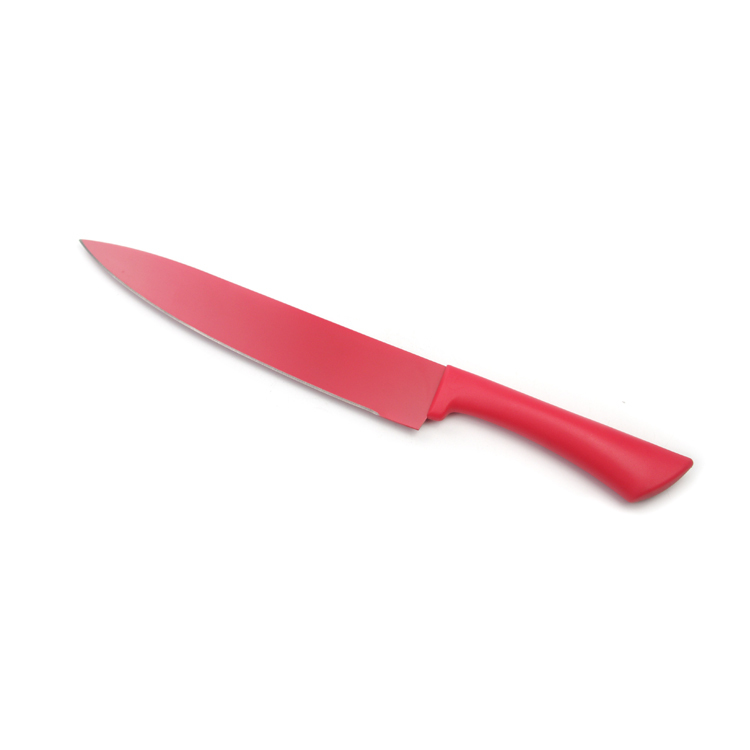 Looking for ideal Colorful Knife Set 6pieces Manufacturer & supplier ? We have a wide selection at great prices to help you get creative. 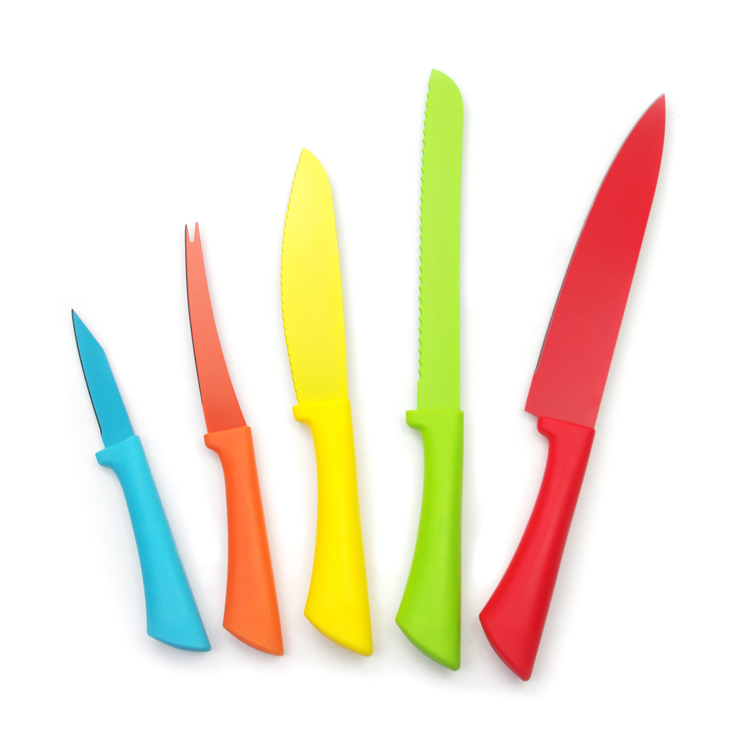 All the Rainbow Knife Set are quality guaranteed. 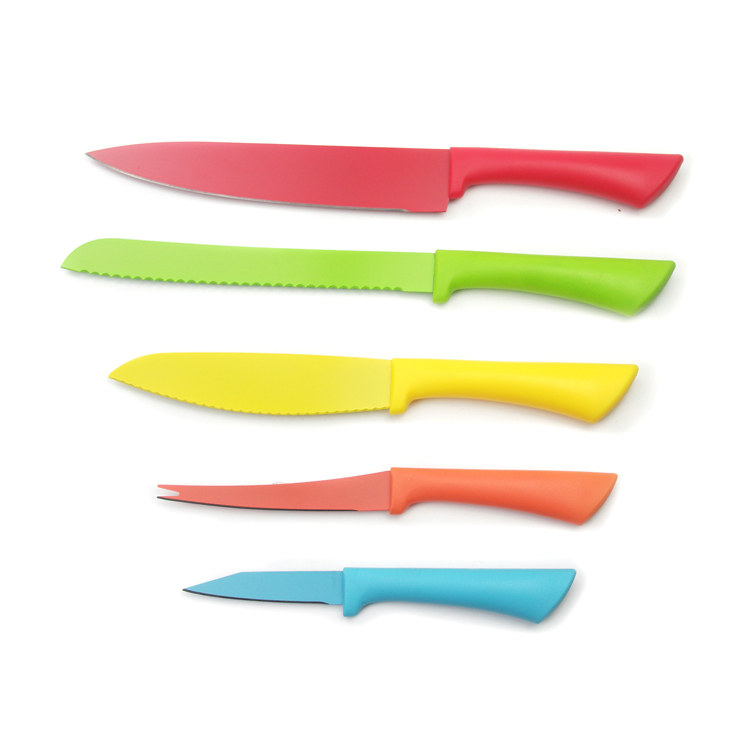 We are China Origin Factory of Rainbow Knife Set Folded Block. If you have any question, please feel free to contact us.